Sure, you know you’re going to get a great deal on a house at a foreclosure auction. You’ve signed up for the alerts, prepared to spend the day bidding and have all your transportation lined up. But how do you get through the technical details so you can submit an offer and actually win a bid? There are things you can do to prepare so your bid will be accepted quickly and the sale will be made final. Some of these involve talking with a loan officer and others just include taking a close look at your current budget. In order to seal the deal on a foreclosure sale, you should come prepared with at least a $5,000 check. This allows you to put earnest money down on the property and call it yours after the auction is complete. It also shows the auctioneer that you are serious about bidding on these real estate opportunities. Of course, it’s common for mortgage lenders to have representatives at these auctions so they can earn your business on the spot. If you don’t have an existing relationship with a lender, this might be the perfect time to start one. If you understand how auctions work, then you also know there is a fee for the services they offer. Usually, this is attached to any purchase figure and amounts to 5% or so of the total amount. While this may seem like you’re throwing money away, consider how difficult and time-consuming it would be to get to these properties on your own. They have already done the work and are ready to sell the location on that day. You’ll be able to walk away with the property deed at a much reduced price. When you’re ready to bid, make sure you’re watching the auction carefully. It’s going to be most effective if you wait until the real estate auction is almost over before you jump in. Otherwise, you’re going to help drive up the price unnecessarily and end up paying much more than you have to. There is usually a learning curve built into these auctions and you’ll notice that the first couple of deals are low figures. This gives everyone a chance to see how the bidding is going to go and what they need to do as far as negotiating a price. Once you see how the auction is going to proceed, then you jump in with everyone else. Even if you’re not an experienced auction attendee, look like you are. Dress professional and others will assume that you have more experience and give you a wider berth. Most of the time, bank representatives show up in professional attire and are intimidating because of their very presence there. If you can imitate this as a beginner, you may “scare” others off from the house deal you want simply because you show confidence and are dressed for the occasion. 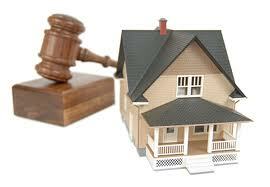 Most of the time, there will be a publicized list of homes that the auction will focus on. If you can read this ahead of time, then you can start doing research before you arrive. When you know what property you really want and which ones you don’t, then you’ll be able to bid more efficiently and productively. Check out the property details as much as possible beforehand so you don’t bid on a money pit. If you use these tips when attending a foreclosure auction, you’re going to have a much better experience. It will help you feel confident and spend less money than an amateur who is not equipped with this information.